Sunday Scan time! This week I have another Mike Zeck masterpiece. 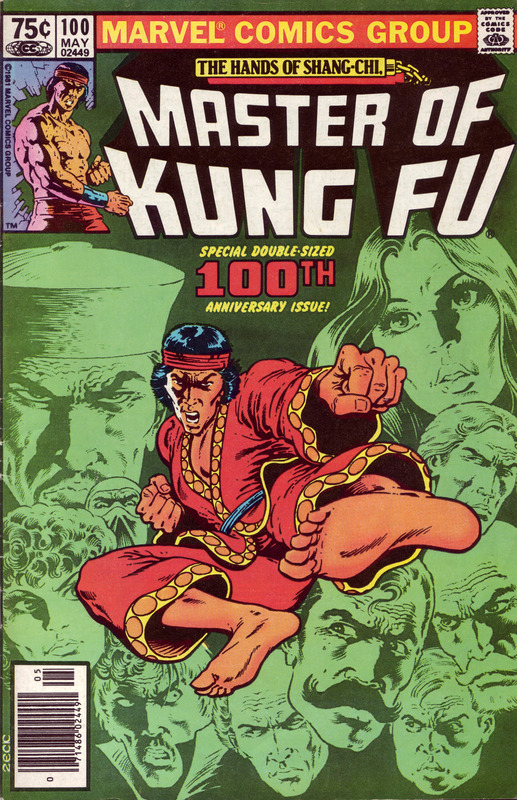 This is the cover to Marvel’s Master of Kung Fu #100 (1981). I love the extreme 3-d like perspective of Shang-Chi launching straight off the cover. I also love the expressions of the supporting characters in the green background. Very cool stuff.